NEW This is our new site. If you have any comments, let the webmaster know. 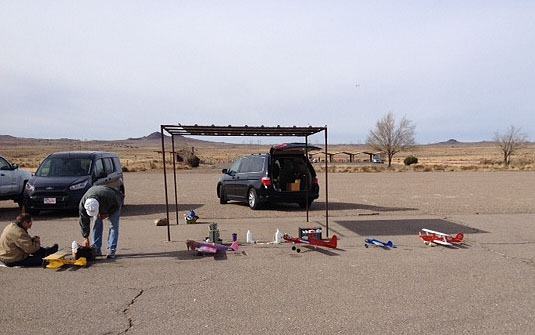 The New Mexico Coalition of Control Addicts is a group of men and women from New Mexico joined together to enjoy flying and talking about control line model airplanes. The club was created in 2002 in an effort to promote control line model airplane flying and events throughout the state of New Mexico. While the club is based out of Albuquerque we have members from all around the state. We currently host one AMA sanctioned event each year, in August, where you can compete in several aspects of control line modeling (see sidebar). CONTROL LINE FIESTA, AUGUST 22-23, 2015 - BE THERE!